I love coconuts - drinking them, eating them, using it for recipes, etc. I've even heard it can help whiten teeth. But did you know that coconut oil for your skin can help tremendously? Coconut oil has been around in the tropics for years and years; they have amazing moisturizing and healing powers & have been used for generations. Coconuts also contain approximately 66% of medium-chain triglycerides, which is a good biologically inert source of energy that the human body finds relatively easy to metabolize. 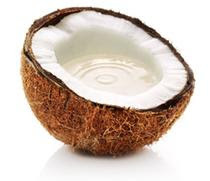 According to Coconut Diet, "As a saturated fat consisting primarily of medium chain fatty acids (MCTs), it is not easily oxidized and does not cause harmful free radical damage like polyunsaturated vegetable oils. Most commercial skin care products in the US today are made from polyunsaturated oils which oxidize and turn rancid very quickly causing free radical damage in the skin." 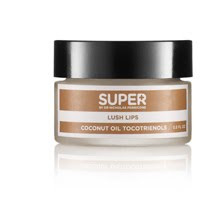 Well anyway, Perricone MD offers great beauty products that contain coconut oil like the Lush Lips conditioning balm and the Hyper Hydrator Daily Moisturizer. Perricone MD offers a various selection of products as well & you can win one!! This giveaway is open to US & Canada citizens only! Ends April 20, 11PM EST. I would love some Coco on me! 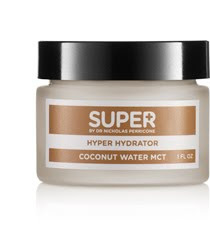 I think that the Intensive Moisture Therapy - http://www.perriconemd.com/product/skin+care/dry+%26+sensitive+skin/intensive+moisture+therapy.do?sortby=ourPicks - would be a great product for me, as I often have problems with dry skin, and I think that it would really hydrate it. 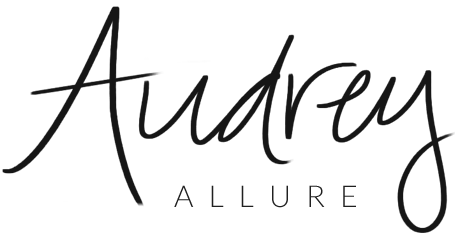 Thanks for the awesome giveaway, Audrey! I think the cold plasma face cream looks like it would be great to get rid of those fine lines that are starting to form around my eyes and on my forehead! Like your FB page as Tara Jobe! Following you on twitter as @haute_lunch! Also following on Blog Lovin as hautelunchinfo@gmail.com. Thanks again! I follow you on Google,twitter and Facebook under the name Nina Christensen. I would love to win the skin Clear cleanser because I have acne pop ups all the time. This cleanser will be perfect for removing impurities and still leaving my skin soft. I get breakouts, especially when I'm stressed out, like right now, so I feel this would benefit me. i'd like tp try the cold plasma cream to correct some discoloration, i follow! Great giveaway. I'm realy loving the Cold Plasma or the Cold Plasma eye. Like your fb and following you on twitter now. P.s. I love coconut too. And the reason I picked the cold plasma and the eye were because I need to really take good care of my skin since I am getting older, plus I always have really puffy and bags under my eyes. That's why I chose the cold plasma eye. I would LOVE a chance to win something from there, I would choose this: http://www.perriconemd.com/category/skin+care/enlarged+pores.do because I'd like to see if it softens my face! what a great giveaway! this looks like a fabulous product! I would really love to try the Advanced Eye Area Therapy, because I have dark under eye circles that I can't get rid of...even though I get 8 hours of sleep a night! cool I'd love more cold plasma please! I follow you on GFC and twitter! The skin clear cleanser sounds great! Also a FB fan already! Oh I am going to add your Facebook page as a favorite of my Facebook page now! Oh! Wonderful giveaway, and I'm following through google friend connect! I would actually love to try the Active Tinted Moisturizer because I could use just a tiny bit of colour on my face and I LOVE the fact that it's SPF 15 to protect from the sun! Ah!! Love coconut & love Perricone!! I am following your tweets on twitter. I just signed up to follow your blog by email! I would like the Cold Plasma. It seems to be one of their best sellers. And I need a great all in one anti-aging product. I am a new GFC follower ..Danyell F. I would love to try the Advanced Face Firming Activator, because I am noticing a droop in my upper face. I follow with GFC and would like to try the advanced eye area therapy because my eyes are starting to show their age.